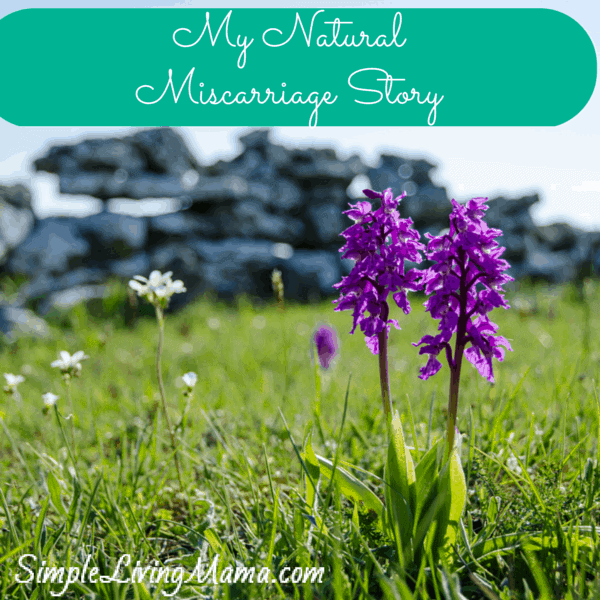 This is my natural miscarriage story. It may contain graphic details of my miscarriage. Please use caution when reading this story if you are sensitive to material such as this. It was December 2013. My husband Luke, had come home from a 12 month deployment to Afghanistan two months before. We’d always talked about having a fourth baby, so we had not tried to prevent anything. That first week I felt very odd. I was so exhausted. I remember going over to my grandparents’ house with the kids and falling asleep on their couch. I never sleep during the day. The odd feelings did not go away the next day and I was beginning to wonder what the heck was going on. I’d had three babies before and I knew my body well. December 22nd was the day after our sixth wedding anniversary. Luke and I were finally able to go out to eat alone at our favorite Mexican restaurant. “I need to just buy a pregnancy test,” I said. So, we headed to Walmart and I picked up a cheapie test. I couldn’t wait to take the test and headed straight for the bathroom as soon as we got home. My period wasn’t due for another three or four days. If it was going to be positive, I expected the two blue lines to show up slowly, and be somewhat faint. That was my experience with testing early before. I was shocked when the positive line showed up immediately. It was very dark. Darker than the control line. I started questioning myself. I was still nursing my one year old and my periods were usually very light. My last period was extremely light. 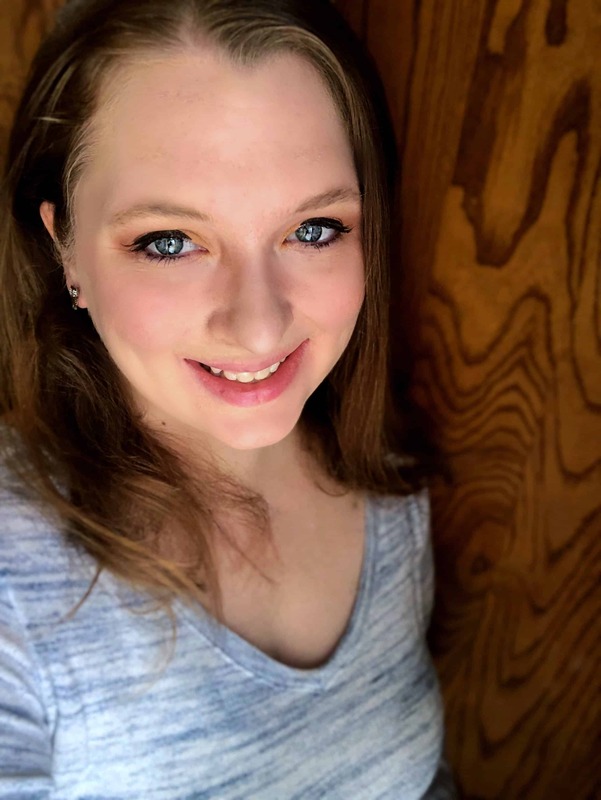 “Could it be that I was actually pregnant when I had what I thought was a period?” I was so confused because my body never did weird things with my cycles. I’d never had bleeding during pregnancy. Intrinsically, I knew something was not right. By the time Christmas came I was not feeling quite as sick as before. By New Years’ I was spotting light brown. I started freaking out. I NEVER spotted like that during pregnancy. When I called my doctor’s office, the nurse assured me some spotting was normal. As a side note, it really ticks me off that they say that. I mean, it could be normal or it could mean a person is going to miscarry. I wish she would’ve said that and told me what to expect! Instead, all she said was if you end up in pain with bright red bleeding, go to the ER. The very light brown bleeding continued on for days. At times it was barely there and I thought maybe it would go away. On January 5th I had light pink spotting. I KNEW something was wrong. Part of me was very afraid I may have an ectopic pregnancy. I really did not want to be home alone with my kids while my husband was working and end up with a ruptured Fallopian tube. And because this post is getting long, I’m splitting it up. 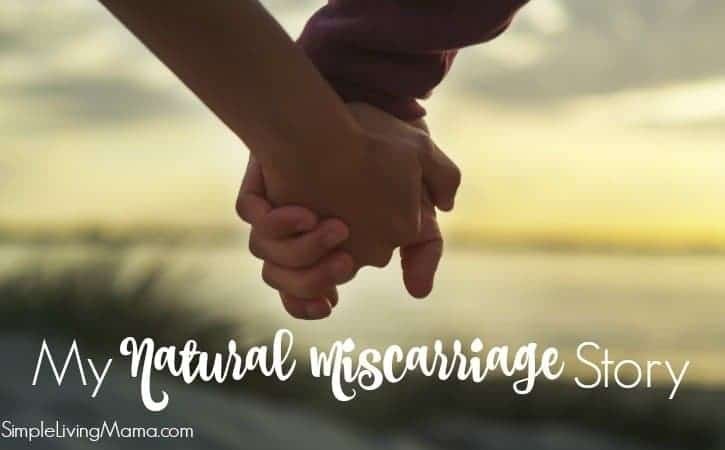 Part 2 of my natural miscarriage story is up on the blog. I am so happy that you shared your story. I agree with you that miscarriage is not talked about enough. It is one of those pains in life that never really go away, we just learn to live with it. Even after our rainbows appear we always miss those that God is holding for us that we never had a chance to hold ourselves. It is an amazing comfort that there are other women who go through similar and feel the same. 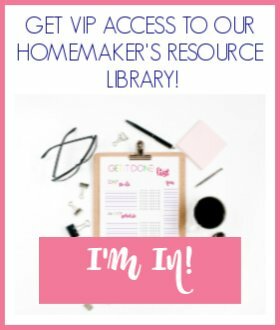 Thanks for being so open and sharing!